In the good, old days—as recent as summer 2017 and summer 2016—free agents used to let the July 1 opening bell sound with minimal amounts of noise. Besides veterans re-upping with their own teams, most franchise-changing free agents allowed the top unrestricted recruit to be courted before he announced his ultimate destination as late as the Fourth of July, whether it was in 2016 with the Kevin Durant fireworks of signing with the Golden State Warriors’ Hampton 5 bunch or 2017 when Gordon Hayward celebrated the nation’s birthday by joining the contending Boston Celtics. This year, LeBron James’ free-agent friends were not waiting for him Saturday at midnight as they came ablaze with their own brand of fireworks, signing numerous deals once the clock struck midnight July 1, producing the most frenetic free-agent frenzy we’ve seen thus far. So after that midnight onslaught, leave it to LeBron one day later to break July 4 precedent and make his own “BOOM goes the dynamite” announcement Sunday evening when his Klutch Sports agency announced—in conjunction with the L.A. Lakers—that King James now was signed on to appear for three- or four-season series runs on Showtime, Lake Show and LaLa Land through 2022 if he so chooses. What a weekend this was for all of us, after all—totally making this week’s Independence Day anti-climatic by comparison. Upon reflection of this free-agent frenzy, here is our list of top 20 NBA free agents entering Summer 2018, with our own analytics-driven evaluation listed under the heading Moneyball Market Value. Already, nine on our top 20 radar have signed new deals, in addition to two other vets who have inked nine-figure extensions to their existing contracts (Nikola Jokic and Jimmy Butler). 1. LeBron James, Cavaliers wing SIGNS 4-YEAR, $154 MILLION DEAL WITH LAKERS; Moneyball Market Value 2018-19: $35.98 to $41.69 million (super-max limit, $35.65 million); Ideal Team: Lakers; Likely Team: Lakers. 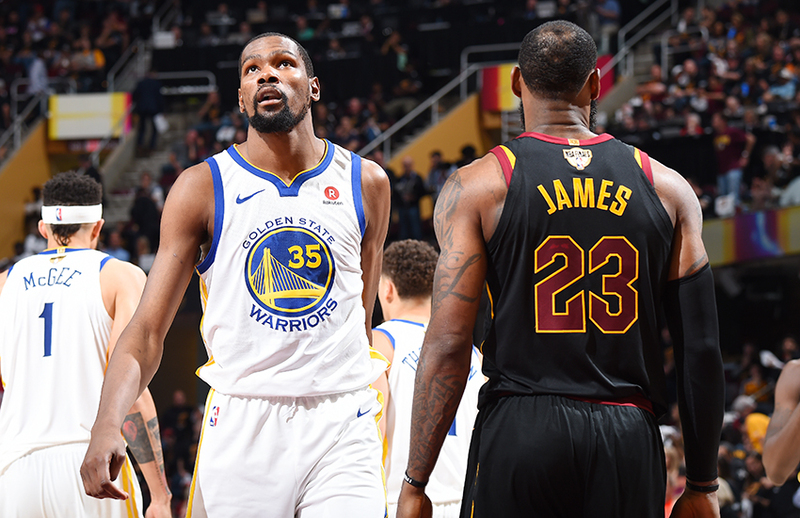 In the biggest free-agent move since Kevin Durant signed with Golden State in 2016 or LeBron and his Superfriends signing in Miami in 2010 or Shaquille O’Neal’s arrival in Los Angeles in 1996, LeBron James has indeed inked a deal with one of the League’s most storied franchises to write the third act to his already storied 15-year NBA career. As of now, he comes to L.A. alone, not bringing his customary group of sidekicks that always seemed to include All-Stars (Dwyane Wade, Chris Bosh and Kevin Love) along with old-heads (James Jones, Mike Miller, Ray Allen, Richard Jefferson, Kyle Korver). Who knows? In time, the Lakers may add Kawhi Leonard or go after a Klay Thompson, but for now, Laker fans are counting on LeBron to take them from a 35-win season in 2017-18 to 50-plus victories in 2018-19. And from there, Laker likers have nothing but championship dreams in their 2020 vision. 2. 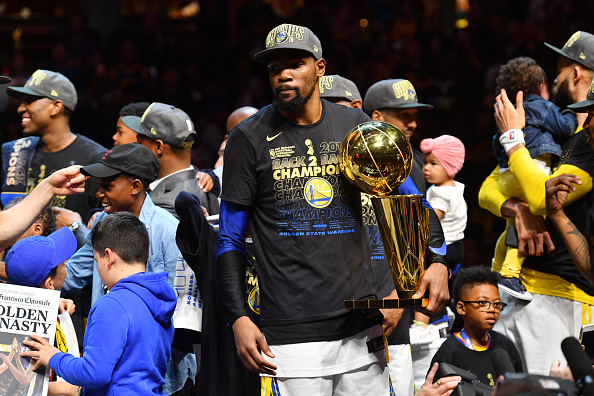 Kevin Durant, Warriors wing SIGNS 2-YEAR, $61.5 MILLION DEAL WITH WARRIORS WITH ONE-YEAR PLAYER OPTION; Moneyball Market Value 2018-19: 30.86 to 32.60 million (super-max limit, $35.65 million); Ideal Team: Warriors; Likely Team: Warriors. God bless Kevin Durant for again being willing to sacrifice his super-max contract for the good of the team. K.D. could have taken a $35.65 million pay slot for this upcoming 2018-19 season, but thought his team could use his sacrificed money—and luxury-tax-savings—to obtain a free agent willing to come to Golden State for the $5.3 million taxpayer mid-level exception. Remember, Durant did the same type of financial sacrifice last summer to allow the Warriors to retain veteran supersubs Andre Iguodala and Shaun Livingston. 3. 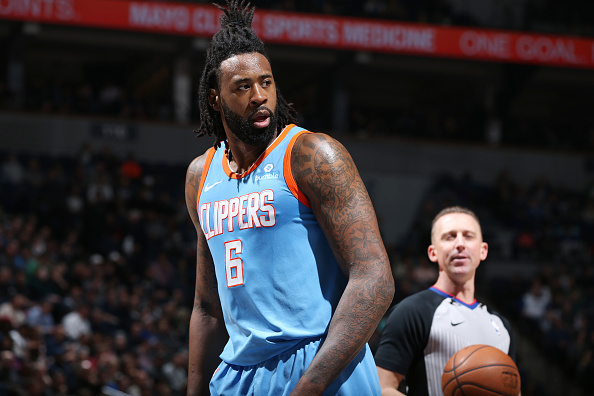 DeAndre Jordan, Clippers big SIGNS 1-YEAR $24 MILLION DEAL WITH MAVERICKS; Moneyball Market Value 2018-19: $24.61 million to $32.36 million (middle-max limit, $30.56 million); Ideal Team: Warriors; Likely Team: Mavericks. Rather than sacrifice money for the chance to win a ring, Jordan took Dallas’ one-year, $24 million offer over Golden State’s one-year, $5.3 million taxpayer mid-level exception offer. It is a great story to see Jordan reunited with his spurned free-agent lover from three summers ago. Should billionaire owner Mark Cuban, Dirk Nowitzki, Luka Doncic and the rest of the Dallas Mavericks get along swimmingly with DJ this season, I could foresee the Mavs signing a long-term, richer deal next summer. 4. Chris Paul, Rockets guard SIGNS 4-YEAR, $160 MILLION DEAL WITH ROCKETS; Moneyball Market Value 2018-19: $25.40 to $30.89 million (super-max limit, $35.65 million); Ideal Team: Rockets; Likely Team: Rockets. CP3 is the embodiment of the Rockets’ 2018-19 summer offseason where Houston is trying to retain its own free agents. With Paul—wink, wink—likely promised the $35.65 super-max deal a year ago, the 33-year-old point guard is making up for lost money with his new deal, which actually translates out to five years and $185 million if you factor in his $25 million discount in 2017-18. 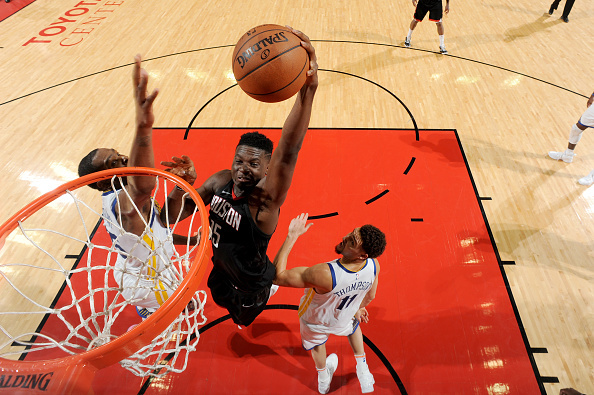 Like Paul, signing restricted free agent Capela should be just a formality for the Rockets. The athletic center completes their defense and gives them everything they need in a rim-running, rim-protecting big on a team ran by talented littles James Harden, Eric Gordon and Paul. 6. 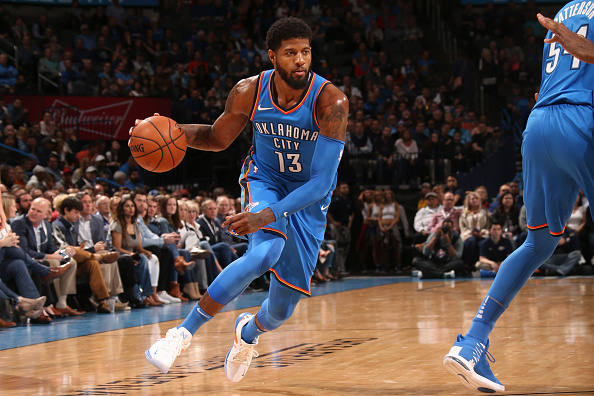 Paul George, Thunder wing SIGNS 4-YEAR, $137 MILLION DEAL WITH THUNDER; Moneyball Market Value 2018-19: $25.98 to $27.07 million ($30.56 middle-max limit); Ideal Team: Thunder; Likely Team: Thunder. PG-13 shocked the world when he signed a long-term deal with Oklahoma City. Sure, some people could see Paul George falling in love with Russell Westbrook, GM Sam Presti and the way the Thunder ran their on- and off-court business. But even those NBA prophets said George would only sign a one- or two-year deal with Oklahoma City, leaving his options open in 2019 or 2020 to join his hometown dream teams in Los Angeles. But, nope, George re-upped with the four-year middle-max, teammate Russ threw a party for the ages and the rest is—as they say—OKC history in the making. 7. 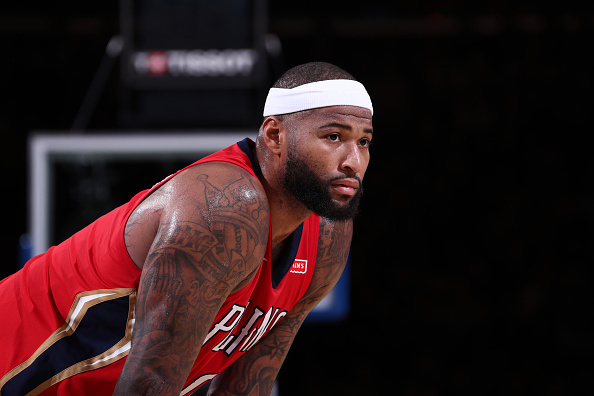 DeMarcus Cousins, Pelicans big ($18.06 million in 2017-18); Moneyball Market Value 2018-19: $22.07 to $27.29 million (middle-max limit, $30.56 million); Ideal Team: Wizards; Likely Team: Pelicans. It really is quite simple. Nobody wants to commit long-term to Boogie, and the longer Cousins waits, his options diminish by the hour. Now it appears that the Pelicans have as good a shot at retaining him as anyone, with teams offering only one- and two-year contracts because of the season-ending Achilles injury he suffered midway through the 2017-18 season. 8. 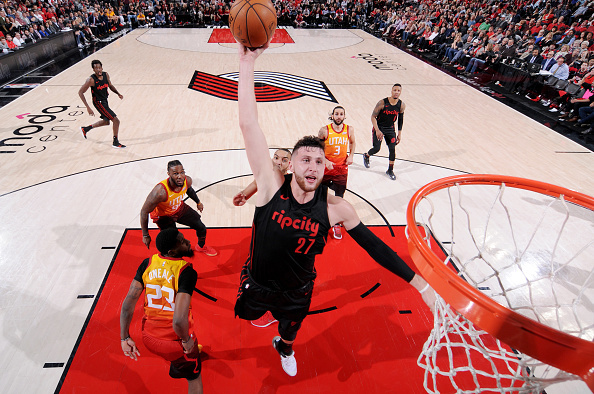 Jusuf Nurkic, Trail Blazers ($2.95 million in 2017-18); Moneyball Market Value 2018-19: $19.03 to $20.93 million (junior-max limit, $25.47 million); Ideal Team: Trail Blazers; Likely Team: Trail Blazers. The mere fact we did not see GM Neil Olshey immediately ink Jusuf Nurkic to a big contract should let everyone know he is concerned about Portland’s bottom line, which could go well over the luxury tax. Olshey is more likely waiting to see what the market bears for this restricted free agent, knowing he can start prospect Zach Collins at center should Nurkic’s deal become too rich for the Trail Blazers. In a related note, Olshey was willing to lose reserve big Ed Davis to Brooklyn on a one-year, $4.4 million deal. 9. J.J. Redick, 76ers guard ($23.00 million in 2017-18); Moneyball Market Value 2018-19: $17.61 to $20.34 million (senior-max limit, $35.65 million); Ideal Team: 76ers; Likely Team: 76ers. 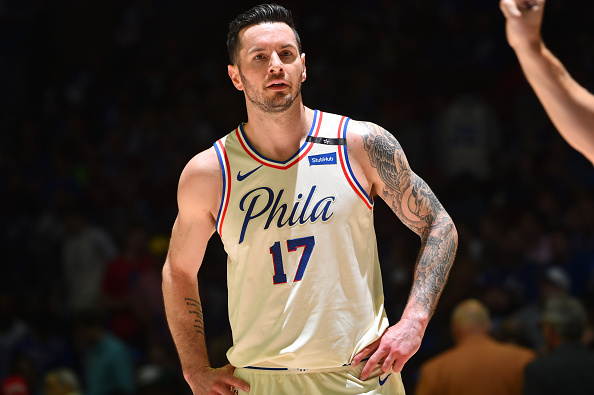 Now that the Sixers no longer need to preserve super-max cap room, they should be signing J.J. Redick to a longer contract this week. His starting shooting guard skills are needed now more than ever, especially since Philly has lost the services of super subs Marco Belinelli and Ersan Ilyasova to free agency. 10. 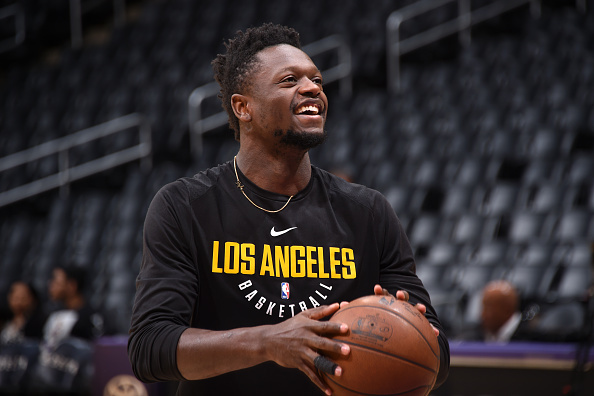 Julius Randle, Lakers big ($4.15 million in 2017-18); Moneyball Market Value 2018-19: $17.21 to $18.93 million (junior-max limit, $25.47 million); Ideal Team: Lakers; Likely Team: Lakers. Julius Randle is now a most intriguing piece in the Lakers’ galaxy, most likely to re-sign in the place originally saved for Thunder signee Paul George. As a restricted free agent, the Lakers can pay Randle as much as $25.47 million in 2018-19. However, if the price tag for this restricted free agent gets that high, it might hamper their chances at signing Kawhi Leonard next summer. If the Lakers keep his 2019-20 salary closer to $17 million rather than $27 million, they stand a better chance at retaining $2 million type players like Kyle Kuzma, Ivica Zubac, Josh Hart and Mo Wagner if Kawhi signs next summer. 11. 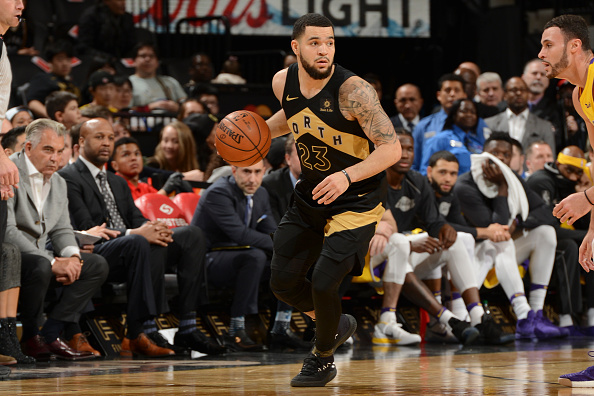 Fred VanVleet, Raptors guard SIGNS 2-YEAR, $18 MILLION DEAL WITH RAPTORS; Moneyball Market Value 2018-19: $15.41 to $16.95 million (undrafted junior-max limit, 4-year, $73 million at $5.81 million first season); Ideal Team: Suns; Likely Team: Raptors. 12. Will Barton, Nuggets wing SIGNS 4-YEAR, $54 MILLION DEAL WITH NUGGETS; Moneyball Market Value 2018-19: $14.35 to $19.11 million (junior-max limit, $25.47 million); Ideal Team: Nuggets; Likely Team: Nuggets. Denver management placed high priority in extending Nikola Jokic immediately to a junior-max contract, and then reached agreement with Barton on a $16 million average annual deal before the clock struck midnight on July 1 negotiation night. That shows the world how much this future championship-contending team values Will The Thrill. 13. Trevor Ariza, Rockets wing SIGNS ONE-YEAR, $15 MILLION DEAL WITH SUNS; Moneyball Market Value 2018-19: $14.89 million to $18.22 (super-max limit, $35.65 million); Ideal Team: Rockets; Likely Team: Suns. Trevor Ariza knew the Rockets were going to try to sign LeBron, while keeping Clint Capela as priority No. 2 when other teams hand the Houston center offer sheets. He also knew they would make him wait to sign because he was priority No. 3. Then, rather than let the salary-cap money dry up throughout the League, Ariza smartly pounced on the fast money offered by the up-and-comers in Phoenix. Too often in Ariza’s past, he waited for his own contending teams to handle their priorities first and Ariza quite often was left holding the empty bag when it was his turn. Houston will miss his talents. And those State Farm ads just won’t be the same without Ariza either. 14. 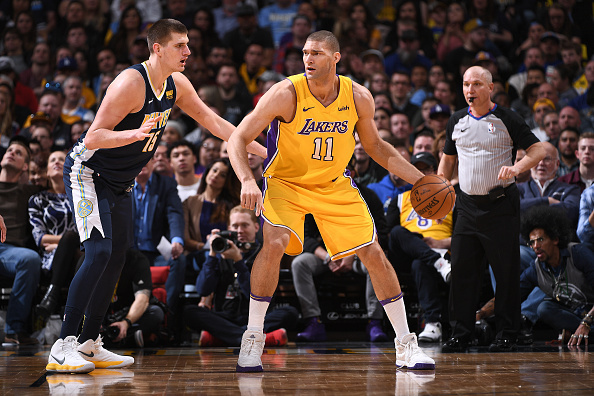 Brook Lopez, Lakers big ($22.64 million in 2017-18); Moneyball Market Value 2018-19: $14.43 to $18.30 million (senior-max limit, $35.65 million); Ideal Team: Lakers; Likely Team: Bucks. If the Lakers re-sign Julius Randle at market value, they cannot bring back Brook Lopez back to anything near his market value. That said, if Lakers exec Magic Johnson chooses Lopez over Randle, the veteran NBA center just may find himself on the team of his dreams, playing the stretch center role with an All-Pro quarterback in LeBron, who can draw the most out of him. Should Brook Lopez be renounced, his next best bet may be in Atlanta or Milwaukee. 15. 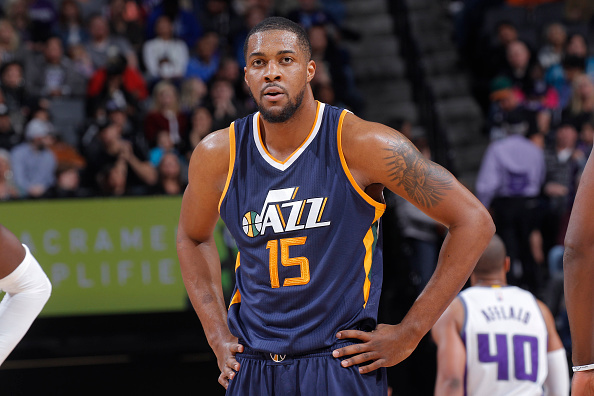 Derrick Favors, Jazz big ($11.75 million in 2017-18); Moneyball Market Value 2018-19: $13.45 to $18.38 million (middle-max limit, $30.56 million); Ideal Team: Hawks; Likely Team: Jazz. If the Jazz can sign Derrick Favors to play his current role as power forward complement and Gobert’s backup center, he is worth keeping in the $15-ish million range. That said, Favors may indeed offer more value to another team that might want to invest in his center skills exclusively. Remember, the Hawks have the cap room to get it done if they can negotiate themselves a long-term bargain rate. He is a good center to pair up with rookie Trae Young. 16. Aaron Gordon, Magic big SIGNS 4-YEAR, $84 MILLION DEAL WITH THE MAGIC; Moneyball Market Value 2018-19: $14.83 to $16.31 million (junior-max limit, $25.47 million); Ideal Team: Magic; Likely Team: Magic. It made sense for the Magic to re-sign Aaron Gordon, even if it appears they overpaid for him in the short term. Because he is so young, at age 22, he has more upside than any free agent on this list. Gordon is often compared to Blake Griffin, and although the Orlando power forward lacks Griffin’s offensive skills, he does have a better affinity for defense, which makes him a perfect complement to rookie rim-protector Mo Bamba. Orlando’s new frontline just may create a new identity for the formless Magic. 17. 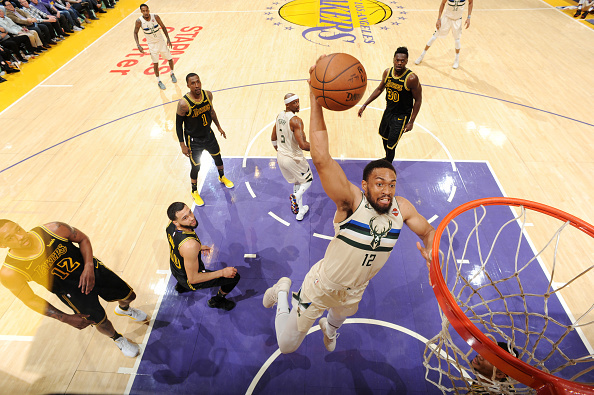 Jabari Parker, Bucks forward ($6.78 million in 2017-18); Moneyball Market Value 2018-19: $12.55 to $18.40 million (junior-max limit, $25.47 million); Ideal Team: Bulls; Likely Team: Bucks. There are not too many 23-year-olds who have been in the League for four NBA seasons, which makes the injury-plagued Parker a unique prospect in this free-agent field. Because of said injuries—most notably, two torn ACLs—his unlimited potential is now thought to have a ceiling. The Chicago product, when healthy, has shown glimpses of the player he can be. By taking conservative metrics from his limited 2017-18 and 2016-17 seasons (81 games total), Parker still may be worth a $15-ish million investment. Or more likely, he may meet several teams’ desire to offer four-year, $40 million contracts via the non-taxpayer’s mid-level exception. 18. Marcus Smart, Celtics guard ($4.54 million in 2017-18); Moneyball Market Value 2018-19: $13.77 million to $15.15 million (junior-max limit, $25.47 million); Ideal Team: Celtics; Likely Team: Celtics. 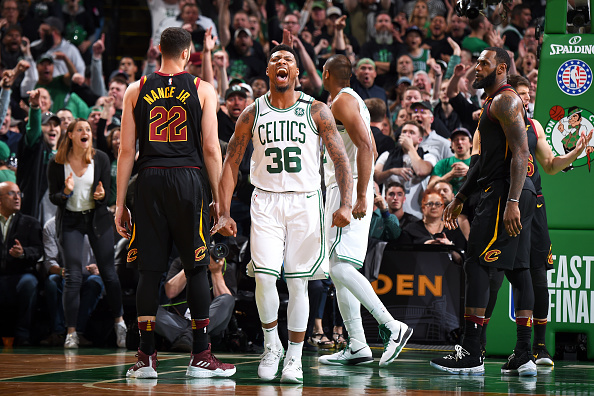 Should restricted free agent Marcus Smart’s market value top out at four years, $40 million, you can bet GM Danny Ainge will match that offer sheet, even though he has another talented guard to back up Kyrie Irving in Terry Rozier. But with all the other big money on roster—Kyrie Irving, Gordon Hayward, Al Horford—when is enough too much? Is four years, $60 million too much, even if Smart himself is worth it? 19. Montrezl Harrell, Clippers big ($1.47 million in 2017-18); Moneyball Market Value 2018-19: $12.72 to $14.91 million (junior-max limit, $25.47 million); Ideal Team: 76ers; Likely Team: Clippers. 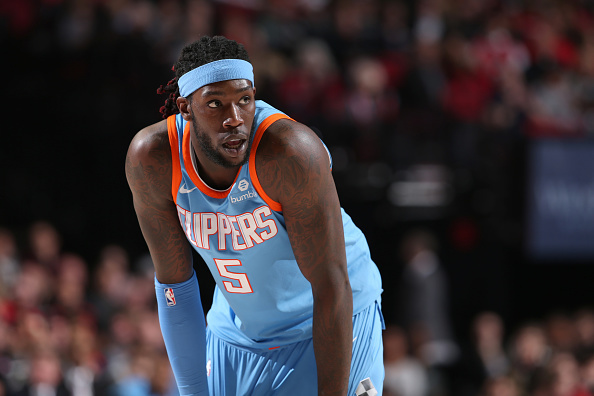 Montrezl Harrell’s play as a potential Ben Wallace type last year allowed Clippers management to wave bye-bye to their former All-NBA center DeAndre Jordan. That alone indicates he should command at least a $15 million deal on the open market. Philly has more than enough cap room to bring a great role player like Harrell over. 20. 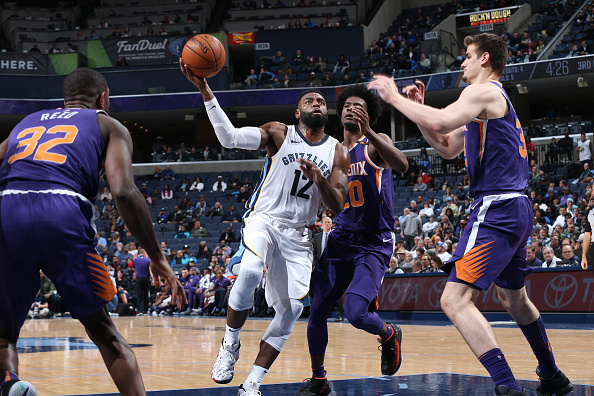 Tyreke Evans, Grizzlies guard ($3.29 million in 2017-18); Moneyball Market Value 2018-19: $9.89 to $16.68 million (middle-max limit, $30.56 million); Ideal Team: Warriors; Likely Team: Pacers. Tyreke Evans may be approached by the Warriors to sign for their $5.3 million taxpayer mid-level exception that became available once Durant sacrificed said amount from his super-max deal to make such an offer. Evans himself is a former client of Bob Myers in the Golden State GM’s former life as a player agent. On top of that, Warriors scout Lamont Peterson was once Evans’ trainer. Now, if Evans does not want to sign for less-than-market value, he may be able to command a $10- or $15-ish million deal from the Indiana Pacers who need guard help after letting much of their backcourt go. 1. Nikola Jokic, Nuggets center SIGNS 5-YEAR, $146 MILLION EXTENSION WITH NUGGETS; Moneyball Market Value 2018-19: $30.17 to $33.19 million. 2. Jimmy Butler, Timberwolves guard SIGNS 4-YEAR, $110 MILLION EXTENSION WITH TIMBERWOLVES; Moneyball Market Value 2018-19: $31.70 to $34.93 million.